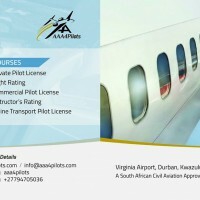 AAA 4 PILOTS is one of the leading pilot training organization in South Africa established by experienced aviation professionals for you. Our mission is to train pilots to the very highest standard of excellence in aviation, safety, education, competency, command and to achieve their individual, personal and professional aviation goals. 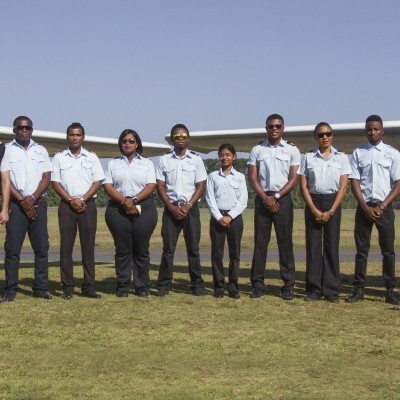 The South African Civil Aviation Authority (SA CAA) approved qualification offers valuable experience and professional pre-employment skills that give our students a flying start to their aviation career. If you´ve always dreamed of flying, either as an aviation enthusiast or as a commercial pilot, our first class training programs can help you get your journey off the ground and put your aspirations within reach. The Academy caters for airline pilot training for both national and international students from all parts of the world. 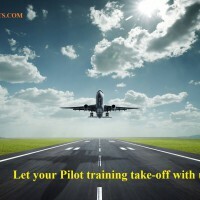 For training as an Airline Pilot there is none better to be found in South Africa. The goal of AAA 4 PILOTS is to produce professional pilots who value LIFE the most and to excellently serve the world aviation industry. Our graduates get the jobs and now fly for major Airlines throughout the World.We are proud to train pilots in a traditional way, gaining confidence and experience, through development of knowledge and skills by progression of licenses and ratings to get professional edge by training to an airline standard using latest technology, a modern fleet and highly skilled instructors that have a reputation for producing pilots that are in demand. DISCOVER WHAT THE AAA 4 PILOTS CAN DO FOR YOU! The best aviation accademy ! Homely + friendly environment !!! Supportive and motivative aviation accademy from all other flight schools ! To become a best pilot AAA 4 pilots (Airways Aviation Accademy For Pilots) is simply the best !! A Dream to become a pilot can succesfully be accomplished only in AAA 4 PILOTS !! Heartly Thanks to the Instructors !!!! Fly High With AAA4PILOTS ?? ? ?Three cheers to AAA4PILOTS? ?